Choose your capacity from 16GB to 128GB. 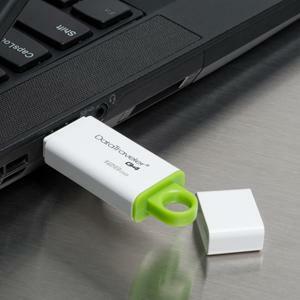 Buy only USB 3.0 its worth the price. 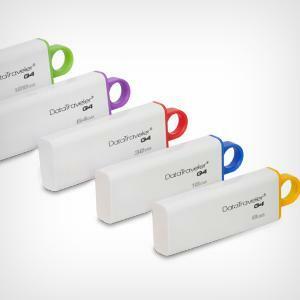 Multiple capacities and multiple colors let you choose the right drive for your needs. 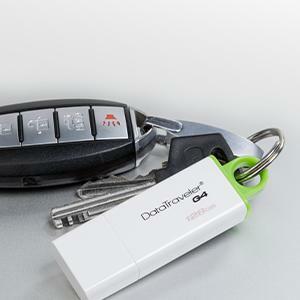 For the ultimate in portability, DataTraveler G4 features a large, colorful loop that easily attaches to most key rings, so you’ll never lose your drive. 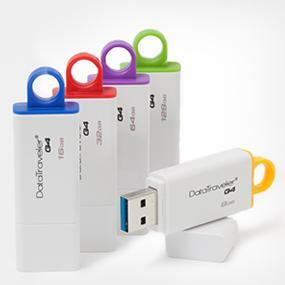 Kingston’s DataTraveler Generation 4 (DTIG4) USB Flash drives are backwards compatible with existing USB 2.0 ports, allowing 2.0 users to migrate to 3.0 in the future without replacing their drives.